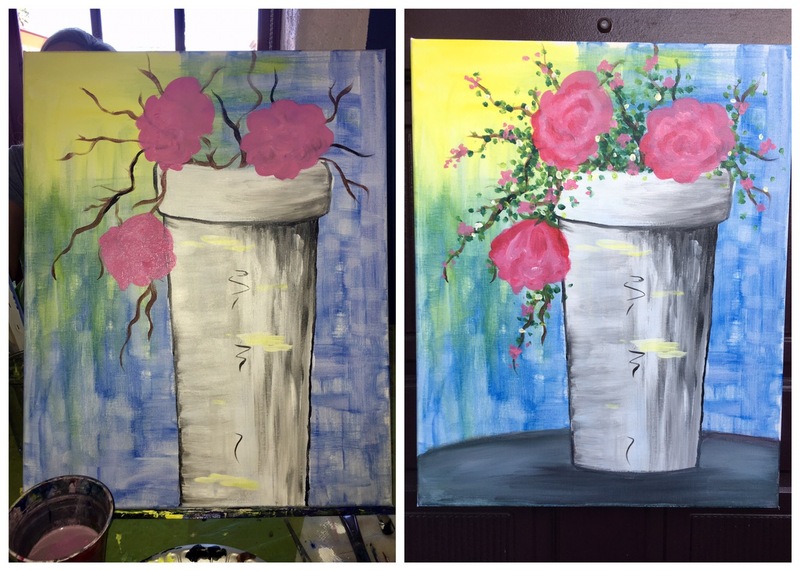 Paint Nite Masterpieces – Part 2 – Crazy for D.I.Y. November 10, 2017 September 15, 2018 • Crazy for D.I.Y. This was a fun one! 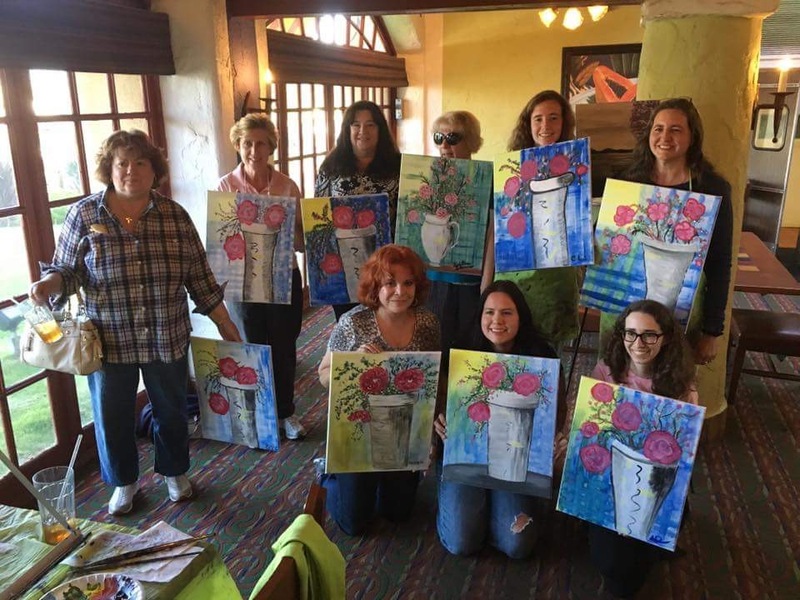 I went with just my mom and surprisingly my in-laws were painting there too! So we sat next to each other and took a group photo in the end. They are super talented ladies. At the end when we were supposed to be signing our names and cleaning up, I realized my vase was just too tall and awkward looking. So, I quickly (and I mean QUICKLY!) painted a table top at the bottom to shorten the vase. I’m sure it could use more detail to look like the rest of the painting style as well as sign it. This painting was surprisingly hard for me to follow instruction. 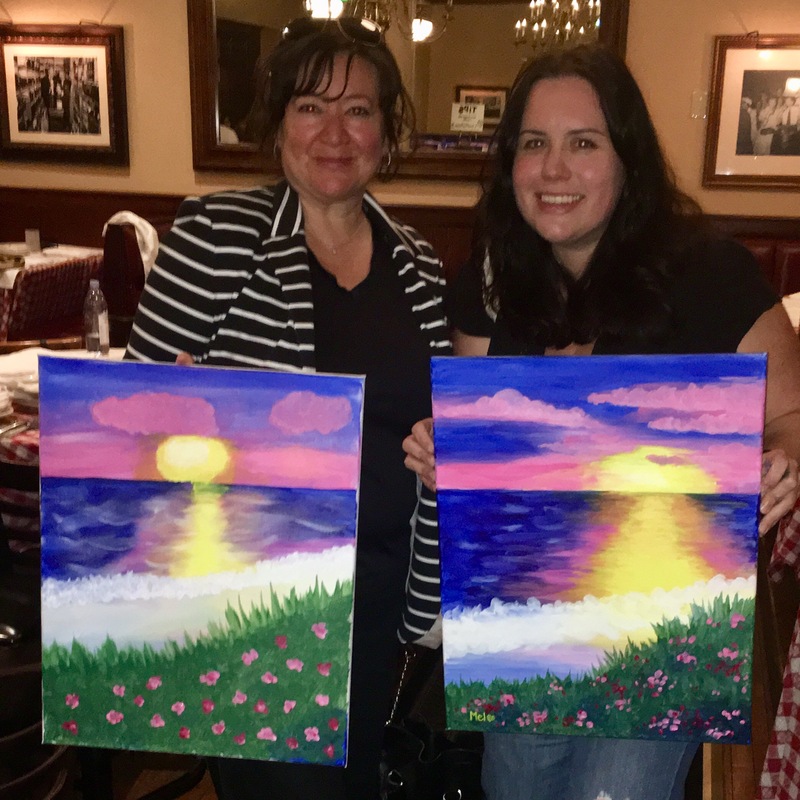 No matter how my perfectionist thoughts were going crazy, my friend April made it a super fun night and helped me learn to love my masterpiece. 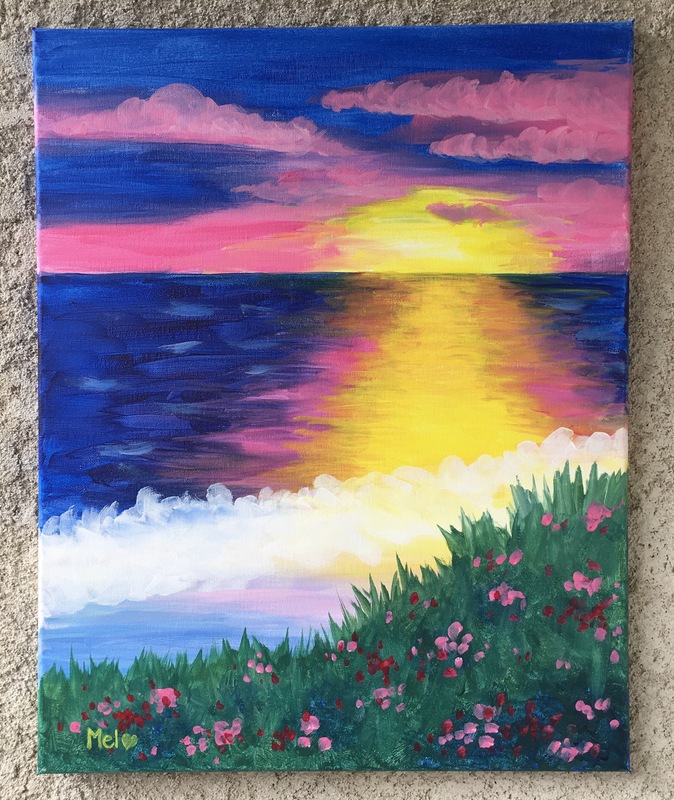 There’s no room for perfection at paint nite with the small window of time you have to finish. Lol. This is hanging outside where my boys play. 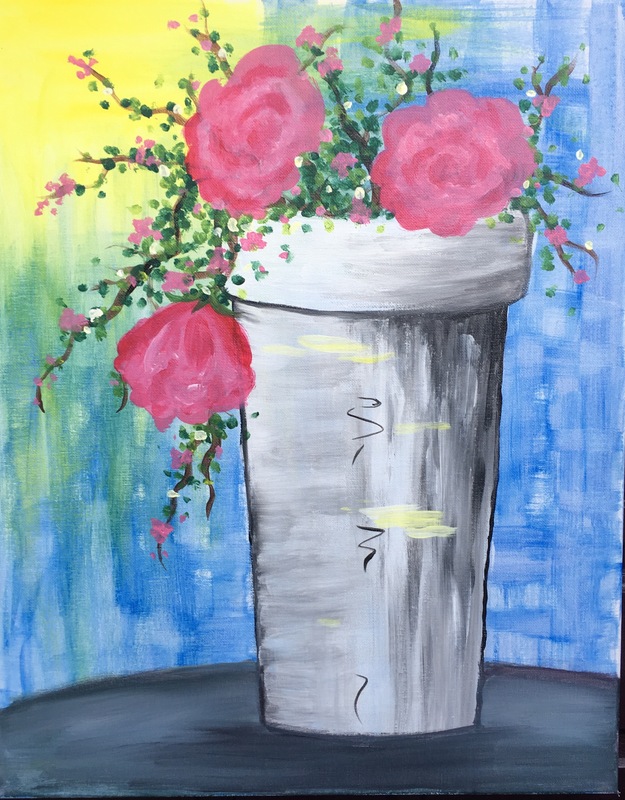 Posted in Crafts, PaintingTagged acrylics, canvas, flowers, paint nite, paintingBookmark the permalink.